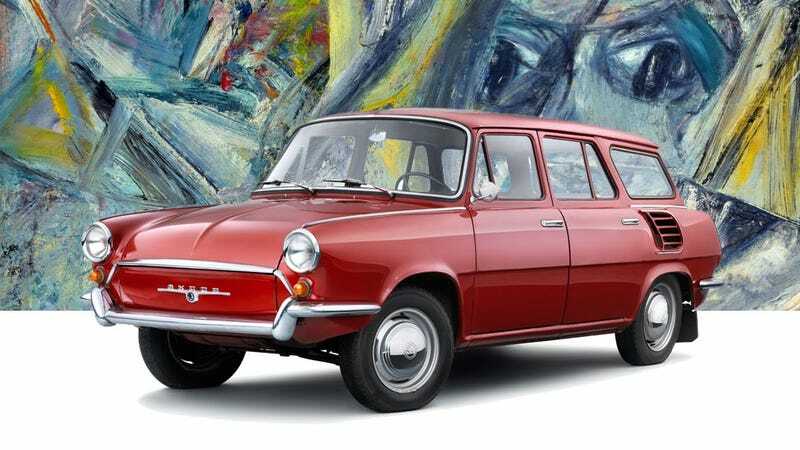 Take The World's Hardest Abstract Expressionist Car ID Quiz! I’m not sure if you know this about me, but I have a degree in Art History. As you may have guessed, it’s not exactly the most useful degree to have in my line of work. I mean, sometimes, sure, but not in general. Unless I really force something, like I’m doing now. My friends, let’s enjoy The World’s Hardest Abstract Expressionist Car ID Quiz! Here’s how it works: I pick an abstract expressionist artist, and then I overlay some of his or her paintings over images of cars. I then remove one basic color from the painting — usually black, but I did do two here with other colors removed — and based on what shows through the removed color, you have to ID the car. Sound fun? Sure it does! Today’s artist is the great Willem DeKooning. Put your answers in the comments, and I’ll add the actual answers tomorrow afternoon. Have at it! UPDATE: I knew you loons would figure this out. I’m not sure I can make a quiz to stump you, collectively. The answers are, in order, Peugeot 504, Cadillac Allanté, Dodge Diplomat, Toyota Will-Vi, and a Sunbeam/Hillman Imp. Many of you figured these out. Amazing!